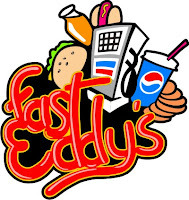 We are proud to announce that for the second year, Fast Eddy's will again be the title sponsor of the Spring BAM Jam at Taco Bell Arena. A big thanks to the Fast Eddy's team! The Fast Eddy's Spring BAM Jam will be on March 12, 2011. Also, we are nearing the completion of our poster design and printing. These things look great! 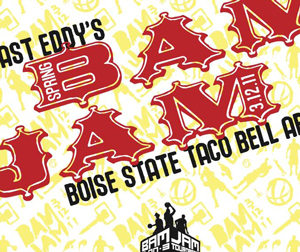 If you would like to help support the Fast Eddy's Spring BAM Jam by hanging a poster at your business, home, school, church or organization let us know and we'll get you one. Just send an email to service@idahoselect.org with your business name and address.